When it comes to tennis, badminton, soccer, hockey, rugby, golf and other sports all require a uniform for the team and management. Before a team is considered to be genuine in terms of what teams stand for and how they go about their business, it is essential for a team to arrive at the field of play, presentable as a team. This image of professionalism will immediately set alarms off in the minds of the opposition because the team arriving looking smart and united as one will be precisely that, READY! 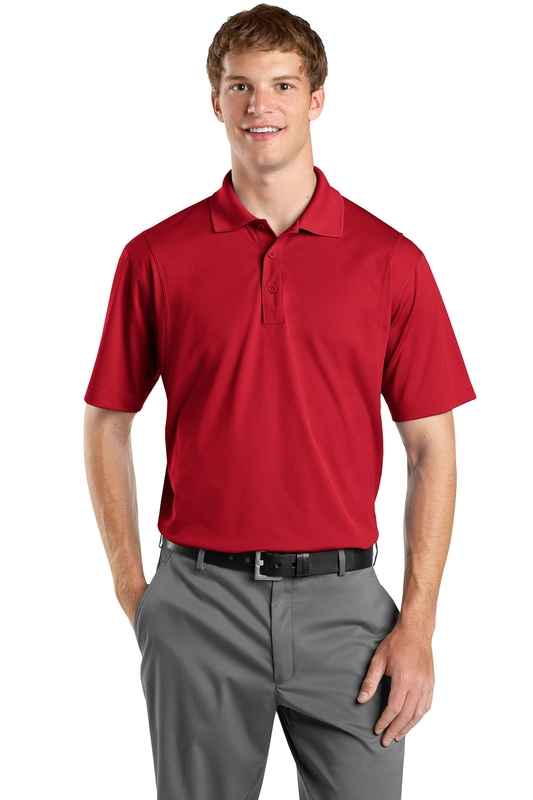 This polo weighs 3.8 ounces, and is made out of 100% polyester tricot. A major feature of it is how its snag resistant so, this polo can be used at a more rapid rate than other polos, so if there is to be any quick turnarounds in play or anything like that, the polo will stand tough and look and feel clean. In essence, its snag resistant is particularly useful as it wicks off moisture so athletes can perform at their highest level without any interruptions. It features double-needle stitching throughout, which gives a thick feel to the polo, whereby the material will stand tough against any influences it comes across that attempt to disrupt the stylish look and texture of the polo. Its tag-free label ensures that issues such as an itch during competition times won’t be a worry to either the player, coach or management. A flat knit collar brings back a traditional style, while also keeping the polo looking neat and tidy on the outside, as it tucks in nicely to the rest of its design. The 3 button placket give an extended length to the polo, breaking away from the traditional 2 placket polo and offering you more of a chance to breath effectively by adding a third button, so more air can circulate around your chest area after a long training session or run. The dyed-to-match rubber buttons give a sporty vibe to the polo as they are very useful when changing your gear quickly. They are also lighter than wooden buttons, so your button was to swipe off an opponent, it is unlikely any gash will be caused. Adult sizes range from XS-6XL, accommodating all body types and sizes. Colors of the Sport-Tek Micropique Sport-Wick Polo come in a wide variety, including: Black, Blue Lake, Deep Orange, Forest Green, Gold, Iron Grey, Kelly Green, Maroon, Purple, Texas Orange, Tropic Blue, True Navy, True Red, True Royal, Vegas Gold and White.